Just as you have your big name female fighters with elite promoters like Mikaela Mayer with Top Rank and Katie Taylor with Matchroom Boxing USA, there are countless fighters who battle it out in the trenches on club level shows throughout the United States. The dream is to build a following and career to catch the eye of a major promoter who can put you on TV and on the road to bigger paychecks. In the meantime, fighters hone their craft in front of smaller crowds and sometimes must even travel south across the border south into Mexico to find fights. 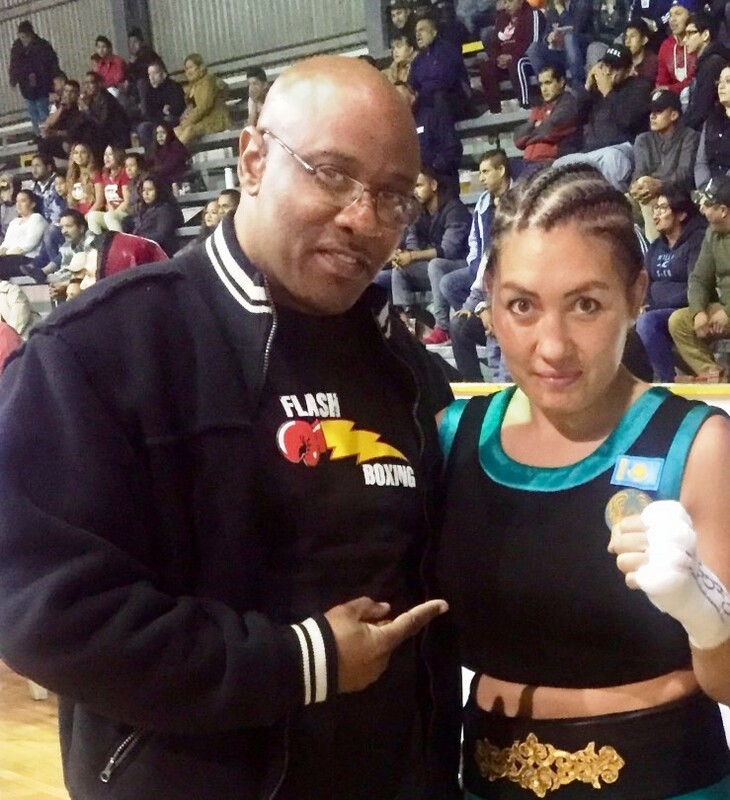 Ronald Cruz-Hunt, president of GM3 Promotions, has a big 2019 planned in Mexico with his star fighter lightweight Aida Satybaldinova of Kazakhstan. The 31 year-old Satybaldinova carries pro ledger of 4-1-1 (1KO) with three out of the five fights contested in Tijuana, Baja California, Mexico. Originally from the Bay area, Cruz-Hunt has a life-long association with the sport with his father a part of the Cuban amateur team before defecting to the U.S. And now, Cruz-Hunt works for CBS covering boxing among other sports. Cruz-Hunt cut his teeth working with the late Dan Goosen and the bigger names of the latter’s stable including Andre Ward, Chris Arreola, Josesito Lopez, Paul Williams and Rico Ramos among others. After an extensive amateur career back in her home country she went pro in the United States last year with a hotly contested four round draw against Lisa Porter in Los Angeles. She strung together three wins in a row, two of them against Annette Pabello, before suffering her first defeat, a brutal knockout loss to accomplished Selina Barrios in Texas. Satybaldinova got back on the winning track in September of last year with a second round stoppage of Viridiana Perez in Tijuana. According to Satybaldinova professional female fighting in her country is nearly non-existent. Christina Hammer, the undefeated former WBC middleweight champion, is also from Kazakhstan but fights out of Germany. The fight that marked Satybaldinova’s short career so far is the devastating loss against Barrios. In that competitive fight in Corpus Christi, TX, Satybaldinova was caught with a punch she never saw coming in the fourth round. The fight was for Barrios’ NABF title as well as Satybaldinova’s WBF strap. She was knocked out before she hit the canvas. Cruz-Hunt mentions Satybaldinova has been honing her craft in the gym since the loss. Satybaldinova is building back up from the loss with a win already in the books since then and another this past weekend in Tijuana. She is crowd pleaser with her aggressive come-forward style. It’s a style that is revered in Mexico. With the deep connections Cruz-Hunt has in the sport of boxing in the U.S., why venture into Mexico with his fighters, especially Satybaldinova?